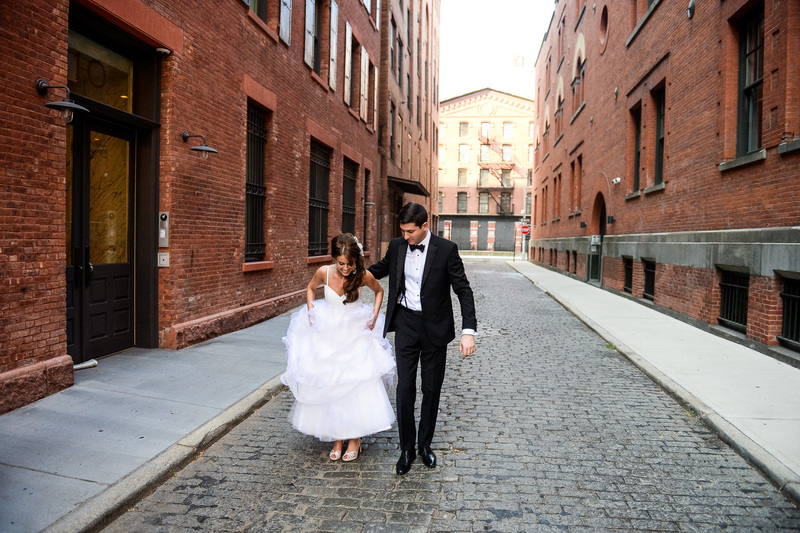 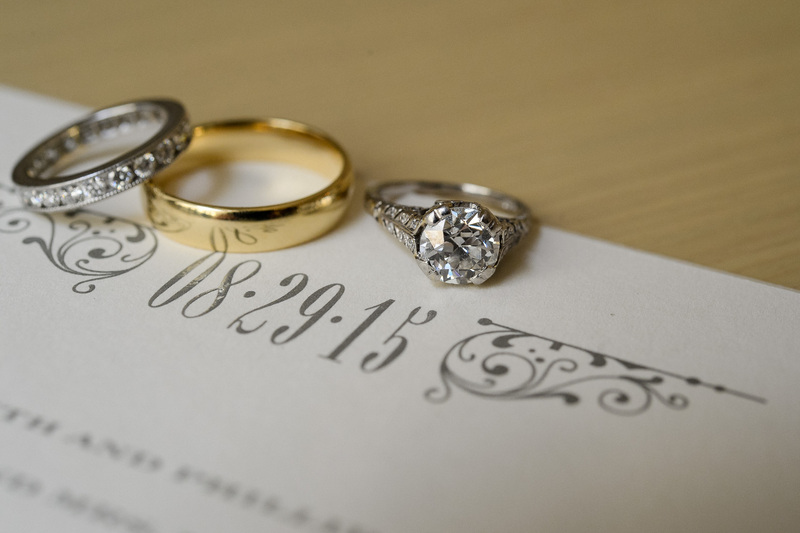 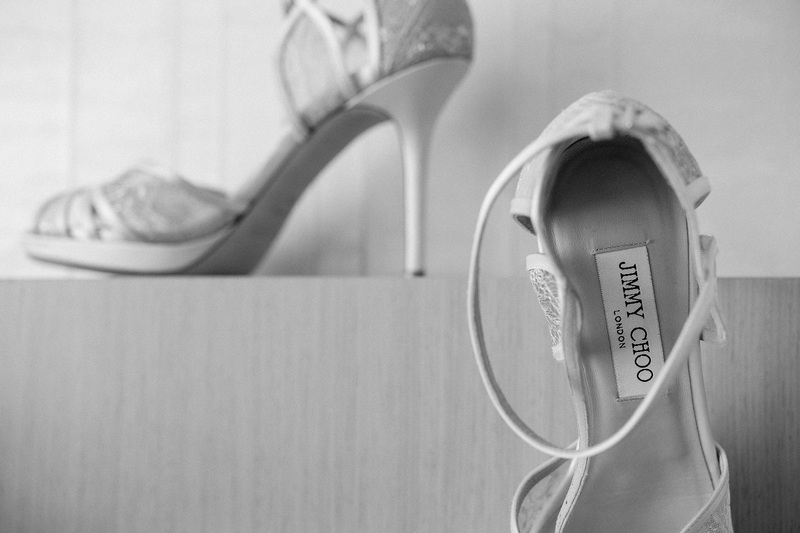 Rachel and Greg met while attending Cornell University, and have been inseparable since. 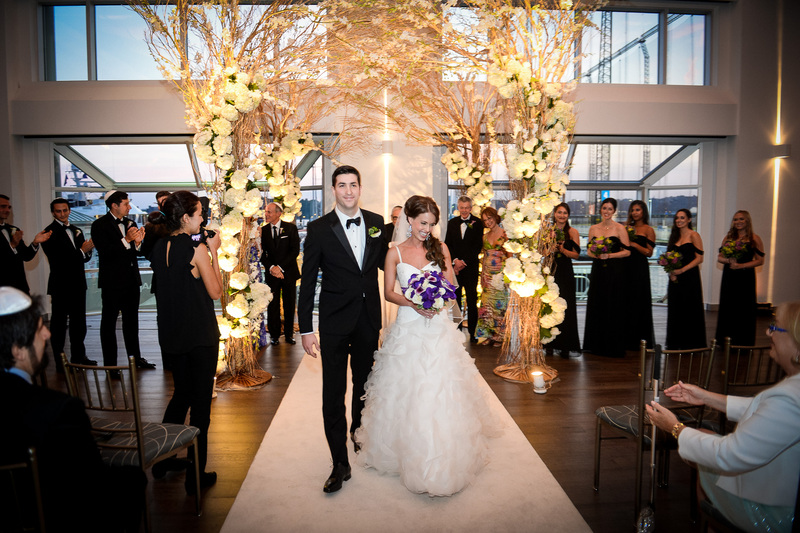 Rachel is a third-year student at the University of Chicago Law School; Greg manages the restaurant at the Four Seasons in Chicago. 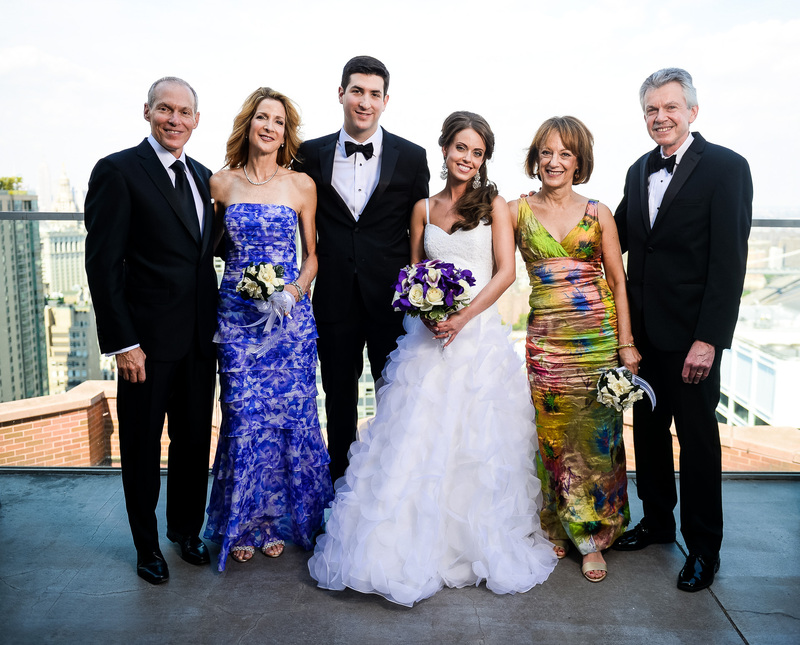 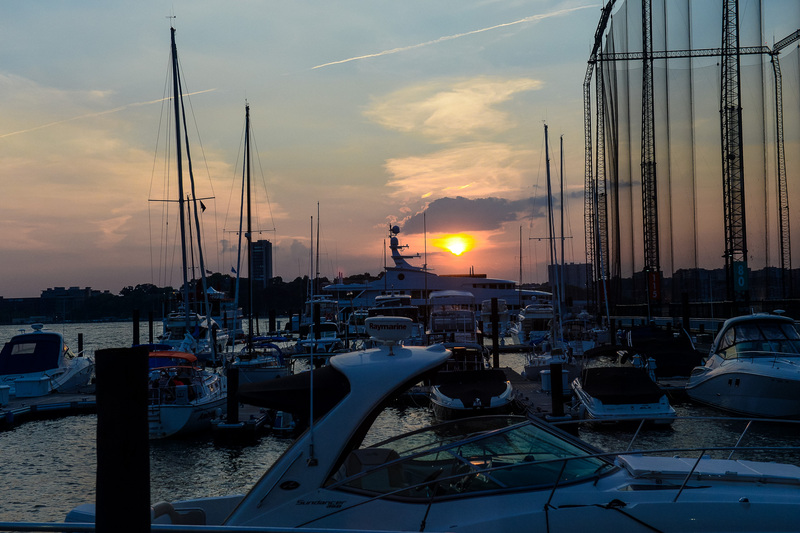 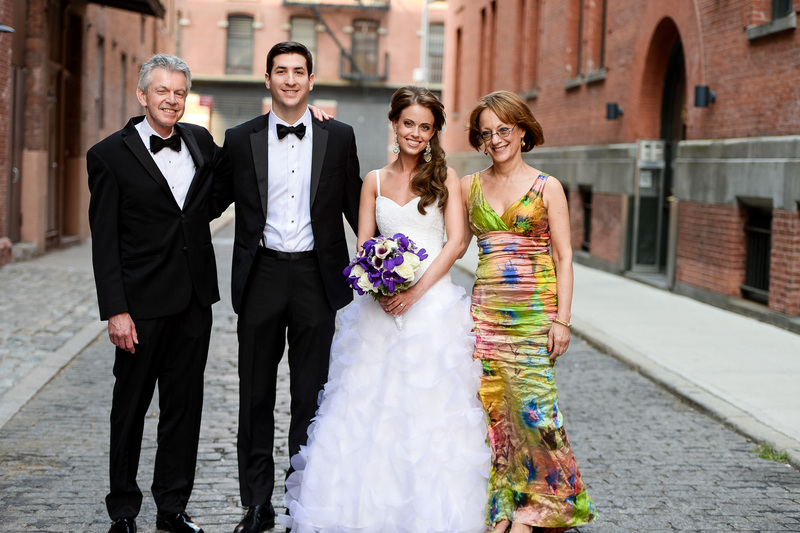 Although they currently live in Chicago, Rachel and Greg chose to wed in New York—Rachel’s home town, and the city where the couple lived for two years after graduating from Cornell. 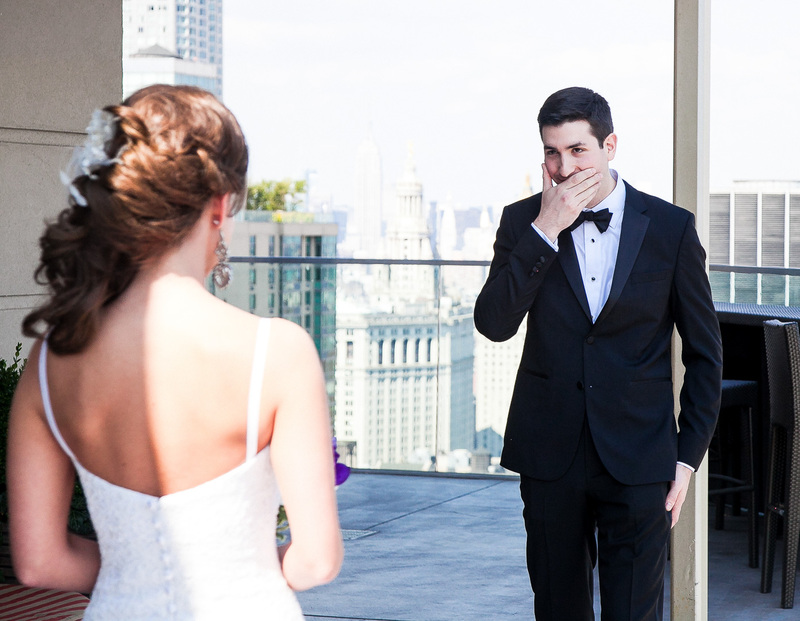 As a native New Yorker, Rachel wanted the wedding to be quintessentially “New York.” Their pre-wedding photographs were shot on a rooftop and the streets of the Financial District and Tribecca, just blocks from Rachel’s elementary school, with an emphasis on capturing their surroundings—ranging from tall buildings and traffic lights to cobblestone streets. 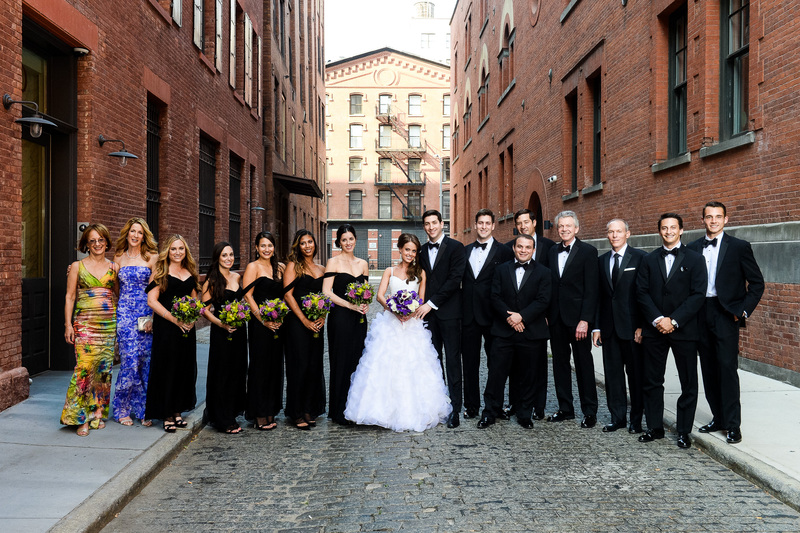 The bridesmaids wore black and carried bouquets featuring shades of green and purple—clean and elegant, with a focus on the floral arrangements. 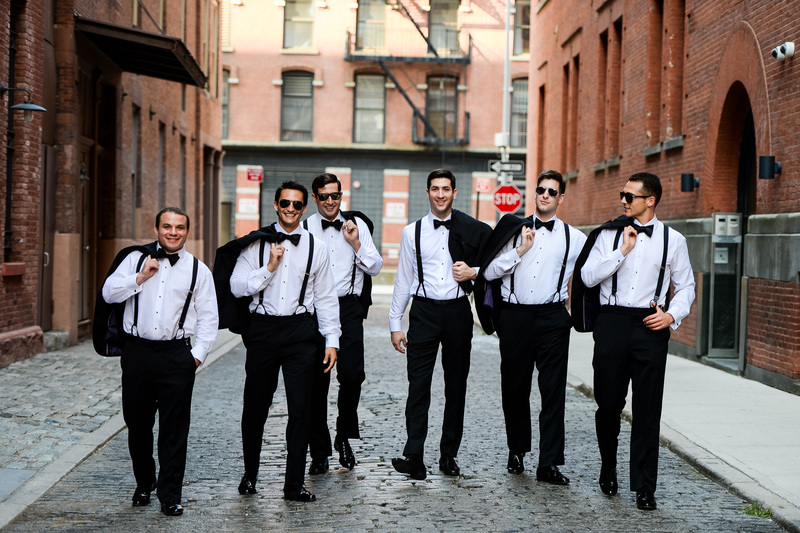 The bridal party consisted of their friends from childhood and Cornell, as well as both of their brothers and their respective fiancees. 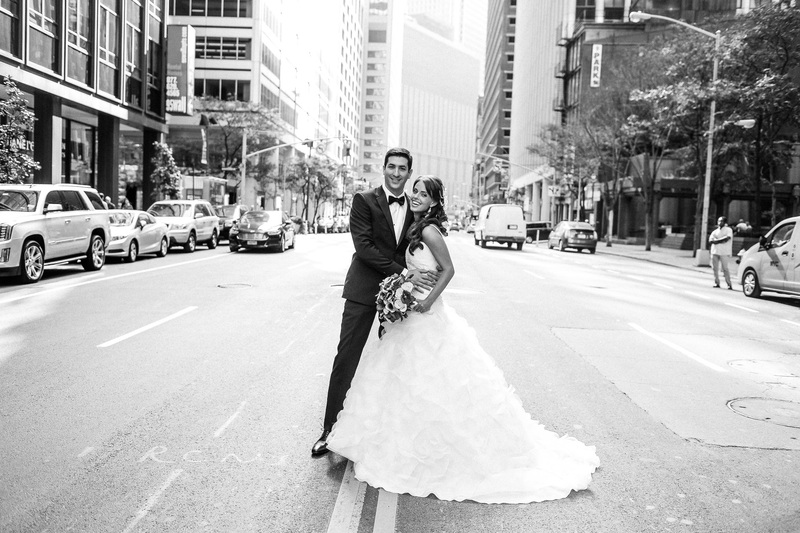 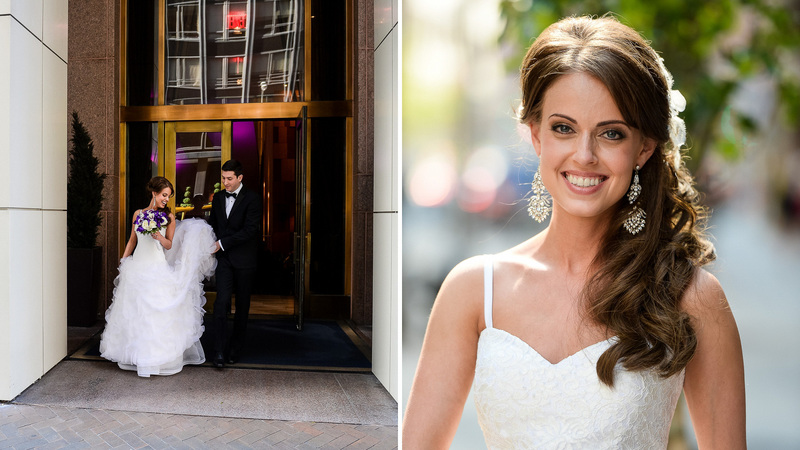 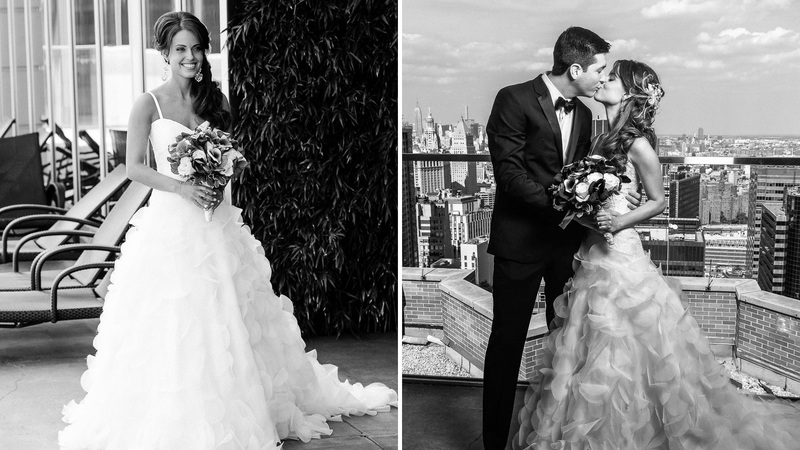 Rachel wore an original dress designed by Carla Hwang and Kenneth Park at Vwidon Bridal, in Chicago. 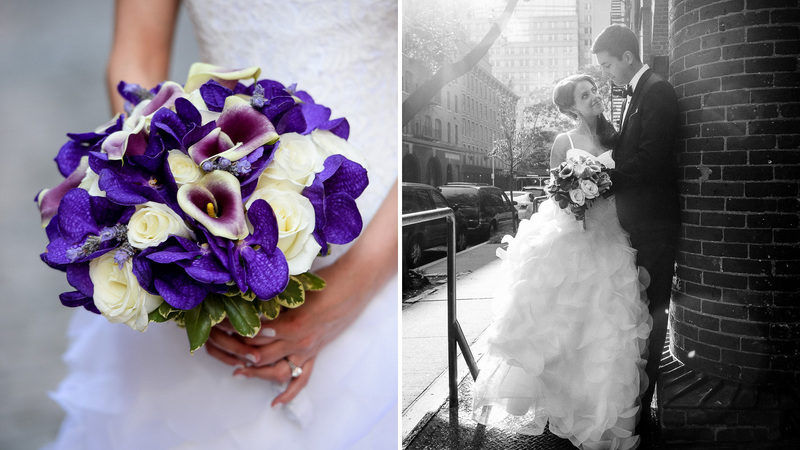 At her first visit to Vwidon, Rachel fell in love with three of Carla’s dresses, and worked with Carla to combine different elements of them to create an entirely new look. 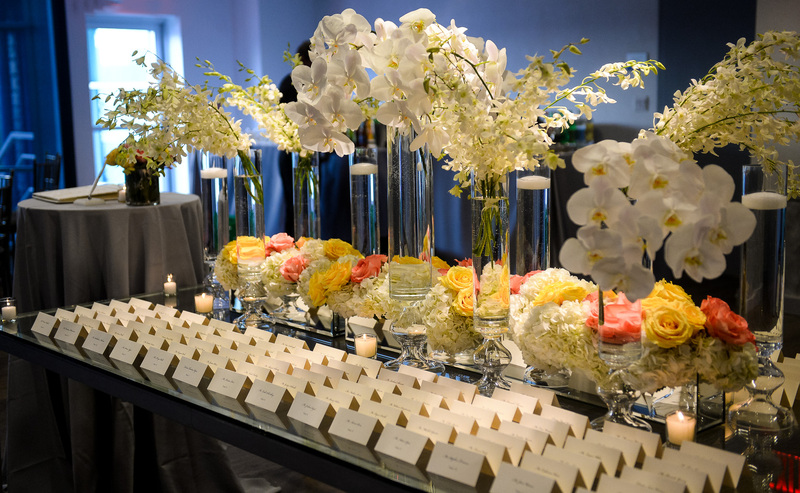 For the ceremony and reception, Rachel and Greg focused on providing a classic and chic ambiance, with just a touch of modern flair. 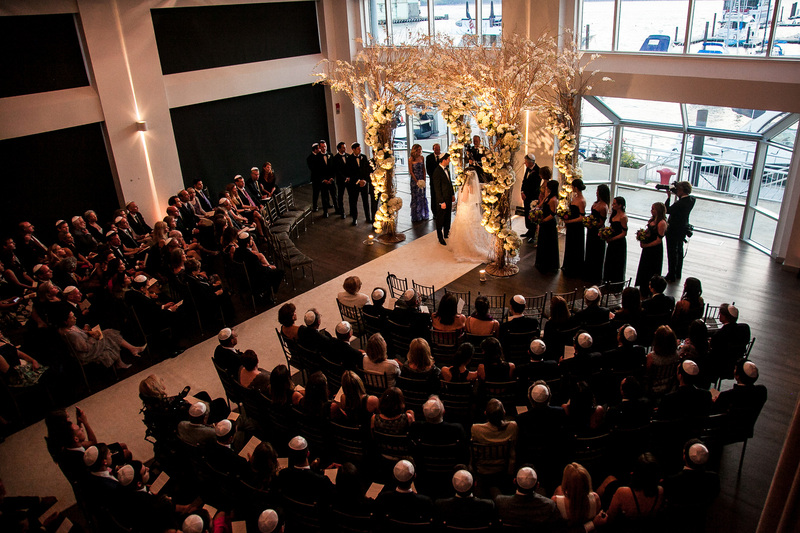 They chose to marry at Abigail Kirsch’s new venue, Current, because it fit their styles perfectly. 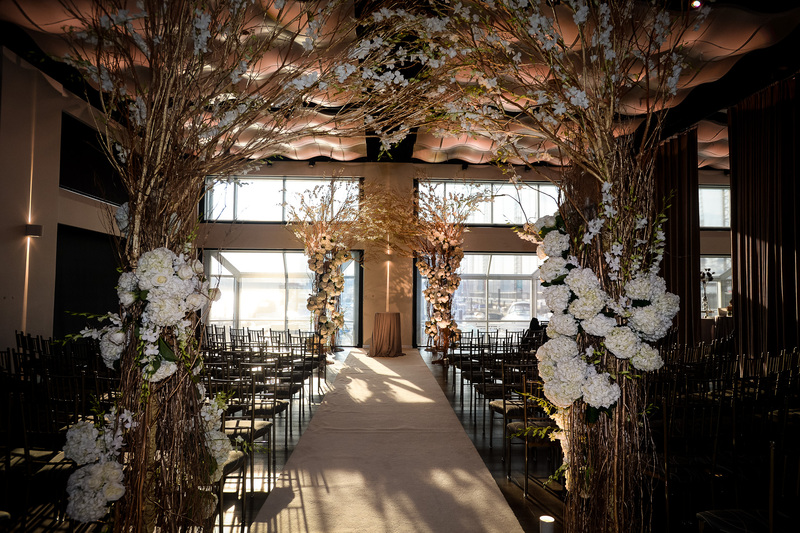 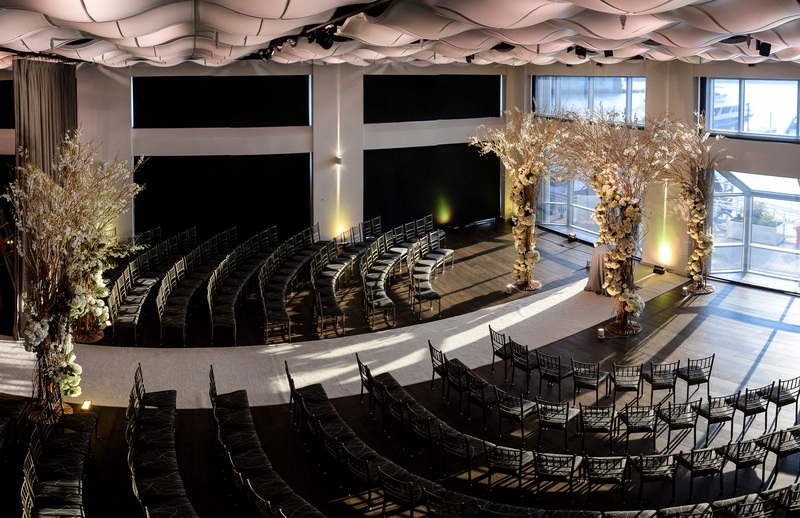 Clean lines and floor-to-ceiling windows created a modern canvas, and Atlas Floral Decorators dressed up the space with tree-like centerpieces and decorations that added an indoor-garden feel. 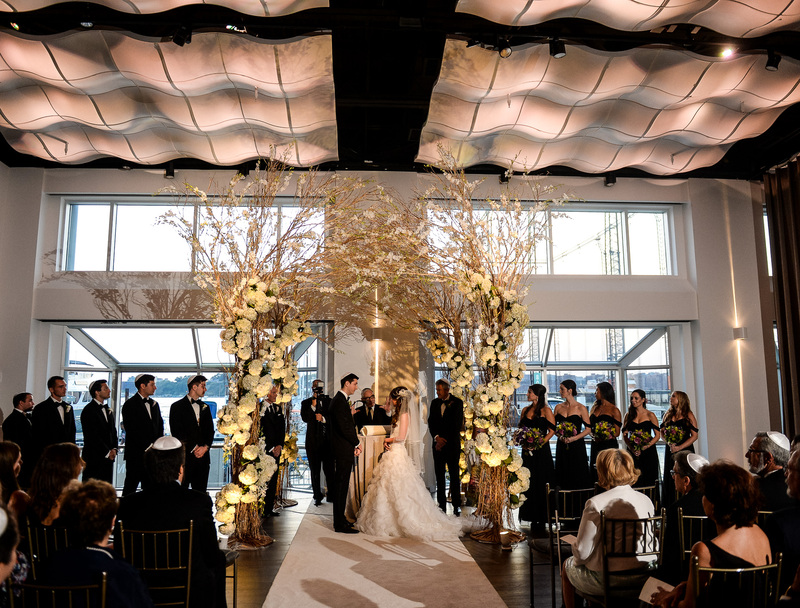 The couple married at sunset under a chupah made of gold branches and white orchids, and table settings displayed white and yellow orchids together with arrays of floating candles. 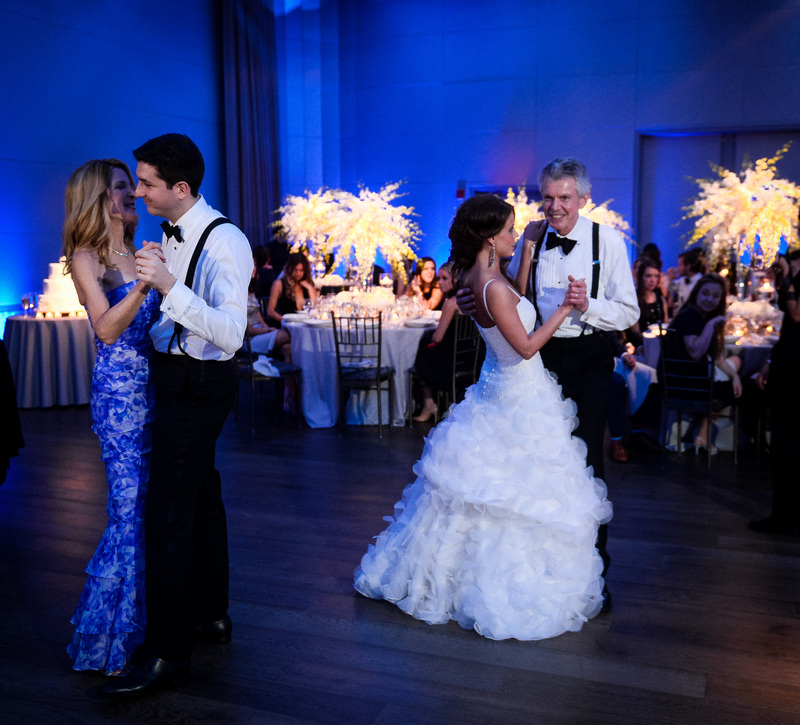 At the reception, Hank Lane Revue introduced the bridal party and couple to their rendition of “Get Down on It” by Kool & The Gang, and the couple shared their first dance to Van Morrison’s “Moondance.” For the parent dances, the band serenaded the couples to “Something Stupid” by Frank Sinatra—a song he had sang with his own daughter, Nancy. 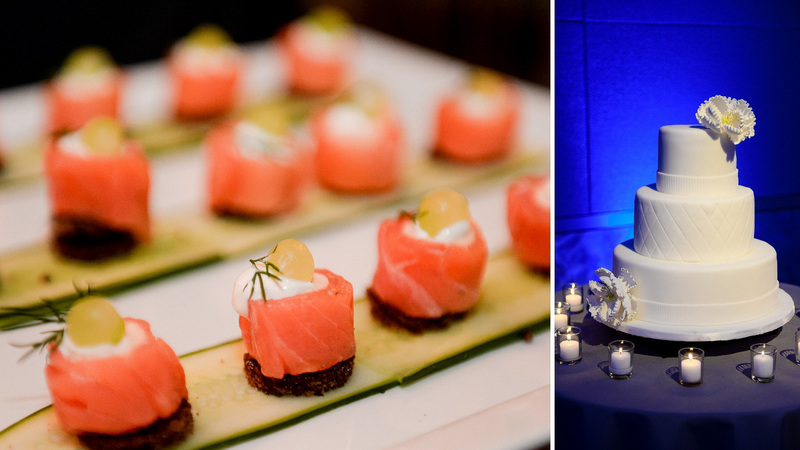 After the hora, guests were invited to dance and enjoy a four-course meal catered by Abigail Kirsch. 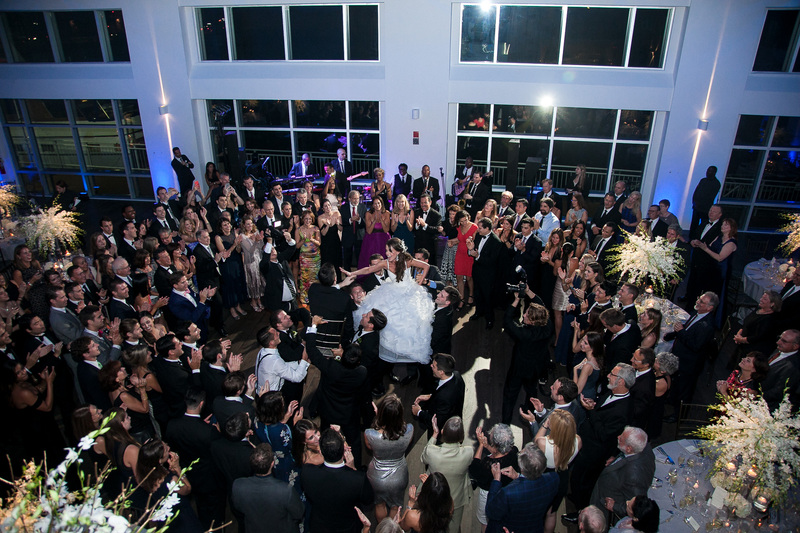 Before the end of the night, the couple made sure to take a picture with all of the Cornell alumni present at their wedding—a tribute to not only where Rachel and Greg met, but also where Greg’s parents had met decades earlier.